NASHVILLE, Tenn. (September 2, 2011) – Operation FINALLY HOME, a 501(c)(3) organization with the mission to provide custom-made, mortgage-free homes to wounded and disabled veterans and the widows of the fallen, announced plans to build a home for Middle Tennessee soldier, Shaun Meadows. Award-winning builder Goodall Homes has committed to build the home and Nashville-based LP Building Products will serve as lead sponsor, donating materials for the project. Born out of the Bay Area Builders Association Support Our Troops effort, Operation FINALLY HOME was founded by Dan Wallrath in 2005. Daniel Vargas, a retired U.S. Air Force Technical Sergeant runs the organization out of New Braunfels, Texas. The program provides custom-made homes to wounded and disabled veterans as well as to widows of the fallen to help them get their lives back on track. “Our mission is to help wounded heroes like Shaun and their families transition from the battlefront to the home front,” said Vargas “We help in this transition by building homes for these heroes. The only way this objective is possible is through partnerships and support from corporate sponsors, builder associations, builders, developers, individual contributors and volunteers. Goodall Homes, LP Building Products and a generous donation from country music stars Big & Rich and Gretchen Wilson are making this Middle Tennessee build possible.” Shaun Meadows is a 31-year-old Afghanistan combat veteran. While deployed in Afghanistan in 2008 Meadows was injured by an IED and became a bi-lateral above-knee amputee. Following his injury, Meadows had a year-long stay at Walter Reed Army Medical Center for recovery and rehab. He began walking two and a half months post injury and started running six months post injury. Meadows retired from the Air Force in January 2011 and moved to Tennessee. Married to Nicole Meadows, the couple has a six-year-old son, Trevor. “Goodall Homes is proud to be a part of this project,” said Keith Porterfield, Chief Operating Officer. “This build is all about giving Shaun Meadows the security he needs and deserves for his family. We are looking forward to handing the much-deserved keys to a custom-made home to this hero.” The Meadows’ home build is scheduled to begin in early November with a projected completion date on Memorial Day 2012. 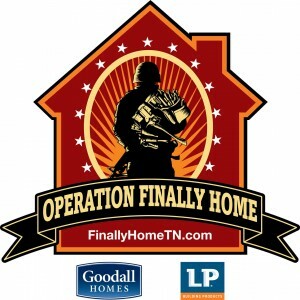 “LP Building Products is proud to partner once again with Operation FINALLY HOME,” said Rick Olszewski, executive vice president of specialty products, sales and marketing. “This collaborative effort represents our respect for and support of our soldiers. To build this home for Shaun right here in our home state makes playing a role in building this home even more meaningful.” For more information including ongoing updates on the build, visit www.finallyhometn or www.facebook.com/FinallyHomeTN.com. About Operation FINALLY HOME Operation FINALLY HOME is an award-winning program created by Bay Area Builders Association Support Our Troops. Bay Area Builders Association Support Our Troops was established in 2005 as a non-partisan/non-profit 501(c)(3) organization. Bay Area Builders Association Support Our Troops mission is to provide custom made mortgage free homes to wounded and disabled veterans and the widows of the fallen in an effort to get their lives back on track and become productive members of their communities. Bay Area Builders Association Support Our Troops partners with corporate sponsors, builder associations, builders, developers, individual contributors, and volunteers to help severely wounded heroes and their families’ transition from the battlefront to the home front and help them succeed in their challenging new world so they may ultimately enjoy a productive and rewarding life. For more information, visit http://www.babasupport.org/. About Goodall Homes Goodall Homes and Communities specialize in residential land development, home construction and new home sales. Goodall was recently awarded the Prestigious National Housing Quality Award (Bronze Award), sponsored by Professional Builder Magazine and the National Association of Homebuilders – Research Center, the only homebuilder in the Southeast to win this award. Goodall was also awarded the 2011 Best in Business Award for the 26 to 100 employee category, from the Nashville Business Journal and the 2010 Master Guild Award for Outstanding Customer Service. 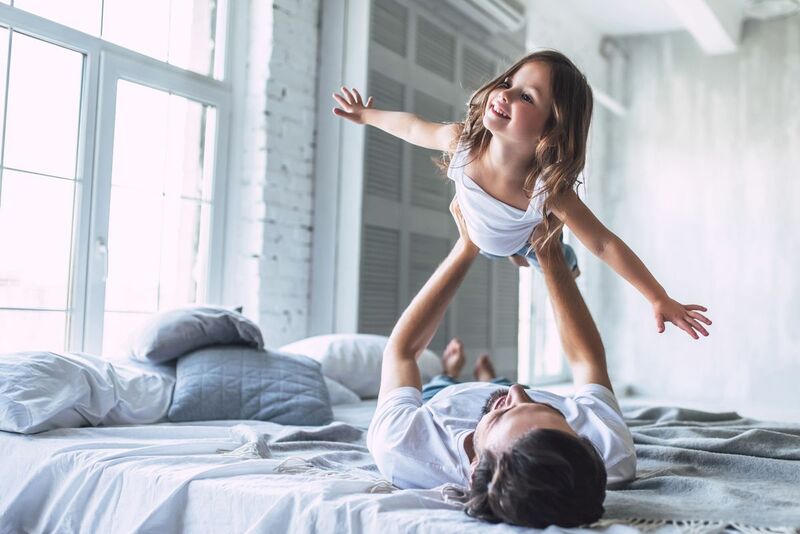 In addition to our recent success, Goodall Homes has an unwavering commitment to building great homes at great values and providing unmatched customer service throughout and after the homebuilding process for all homeowners. For more information, visit www.goodallhomes.com. About LP Building Products Louisiana-Pacific Corporation is a leading manufacturer of quality engineered wood building materials including OSB, structural framing products, and exterior siding for use in residential, industrial and light commercial construction. From manufacturing facilities in the U.S., Canada, Chile and Brazil, LP products are sold to builders and homeowners through building materials distributors and dealers and retail home centers. Founded in 1973, LP is headquartered in Nashville, Tennessee, and traded on the New York Stock Exchange under LPX. For more information, visit www.lpcorp.com.